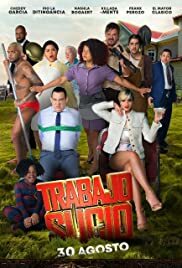 Director: David Pagan MariñezWriters: Jose Ramon AlamaStars: Ana Maria Arias, Victor Baujour, Sarodj BertinSummary: One day, what starts with the intention of ending all the injustices to which the employees of the Pérez home are subjected, ends up becoming a night of madness. Fast-paced and relentless events to the rhythm of comic characters that make up the ecosystem of a high class house trapped inside a vicious circle give life to this story that analyzes the human condition. How far would we be able to reach with the power in our hands?